2015 is almost over, and lately all the talk has been about the 30th Anniversary of Back to the Future. Well, that's not the only thing that celebrated its 30th birthday this year. Here's a look at some of the nerdy things that I was totally into 30 years ago that maybe didn't get the fanfare that Back to the Future is getting. Much like Voltron the previous year, Robotech was pulled from already existing Japanese animation. Except in this case, it was three completely separate series woven into one 85-episode season. Contrasting the kiddie nature of Transformers, Robotech was a sci-fi space opera that dealt with adult issues like love, war, and death. But who are we kidding. Robotech is popular because of the robots, and one in particular, the Veritech fighter, is still ridiculously popular today. Toys at the time, were unfortunately very scarce. The only thing you could even remotely get was a Transformers Jetfire figure and even that was pretty limited. Thankfully, collectibles are readily available now even on Amazon. 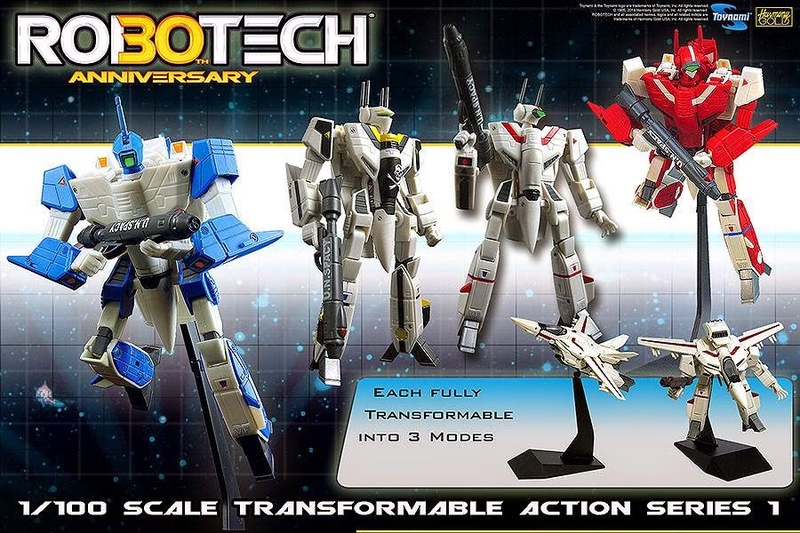 And right now, there are these 30th Anniversary 1/100 (6 inches) scale transformable figures available. You all know the chant, say it with me! Thunder! Thunder! Thunder! ThunderCats! Hooooooooo! That was the cry Lion-O used whenever he was in trouble and needed the help of the rest of the ThunderCats. And boy did he use it A LOT. It was was basically the equivalent of forming Voltron. We all knew it was happening, it signaled the episode was about to end, but nobody cared. The series was campy and a little cheesy, but it had one of the all-time great animated intros. Too bad that animation quality didn't carry over into the series, but I remember it fondly as one of the first cartoons without robots in it that I was interested in. The series was so popular that it did get revived for a short lived reboot in 2011 on Cartoon Network. But nostalgia can only go so far as it was cancelled after one season whereas the original series lasted for four. Okay, I'm cheating a little here because G.I.JOE actually had its debut in 1983 with the Mass Device and then again in 1984 with the Revenge of Cobra. The 1985 premiere I'm talking about refers to the start of the daily cartoon series which is where I started watching it. Alongside Transformers, G.I.JOE was a triple threat. The cartoon got me into both the comic book and the toys about an elite, highly trained, special mission force fighting against Cobra a terrorist organization led by a largely incompetent leader, Cobra Commander. Here's the amazingly catchy and over the top patriotic intro. One of the staples of G.I.JOE was the "Knowing is Half the Battle" public service announcement at the end every episode which were both informative and creepy at the same time. G.I.JOE was rebooted multiple times on TV and in two "wish they were better" movies, but the original series will always be my favorite. M.A.S.K. was that other cartoon series about vehicles that transformed... into other vehicles. Yup, a car would turn into a flying car, a motorcycle could turn into a helicopter, a pick-up truck could turn into an armored tank, and the main villain whose name was Miles Mayhem had a helicopter that could transform into a jet. Really?!? M.A.S.K. stood for Mobile Armored Strike Kommand, which really should have screwed up a lot of spelling tests for kids. But it was another cartoon based around a toy line that children including myself, ate up. The gimmick was that the characters wore masks that pretty much gave them some kind of electronic super power. It also led to a lot of roleplaying by me with a box on my head pretending to be in the show. Thankfully, there is no video of this. But here's the intro! MacGyver was a secret agent working for a government agency that used everyday objects to get out of jams, because SCIENCE! It was vaguely educational but always entertaining and I loved the series. Here was a guy who was kind of nerd doing heroic things and using his brain to get out of trouble and thwart bad guys. How could you not like him?!? MacGyver lasted for seven seasons and two made for TV movies, and somehow became a verb as "MacGyvering" involved the use of any everyday item, most often a paper clip, to fix something. Admittedly, not the nerdiest thing on this list, but much like The Karate Kid before it, Rocky is a massive underdog going against a seemingly unstoppable giant Russian named Drago. While Sylvester Stallone and Dolph Lundgren have gotten together recently for The Expendables film series, this first encounter remains my favorite. And Stallone would have you believe the film ended the Cold War. But you know what? With a training montage, you can defeat anything. Back in the 80's, there were only two Asian actors who were in my age range. 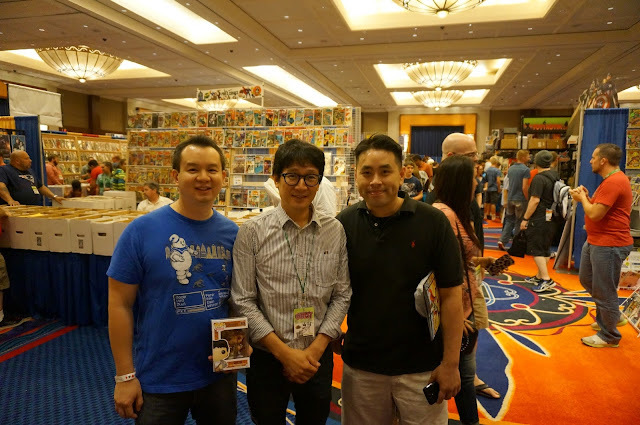 Ernie Reyes Jr. and Jonathan Ke Quan. Quan was in the previous year's Indiana Jones and the Temple of Doom, and now he was playing amateur inventor Data in The Goonies. So having someone who looked like me and was the same age as me in a movie was really a big deal. And I recently got to meet him at Connecticut ComiConn! But I digress. The Goonies was about a group of kids who try to save their homes by going on a pirate treasure hunt. It was an adventure, but for kids! Joining Short Round were Corey Feldman, Samwise Gamgee, and Thanos! But seriously, the movie was super fun. And here's the original trailer which introduces the characters and doesn't give away too much plot. There was plenty of 30th Anniversary fun earlier this summer in the Pacific Northwest where it was originally filmed and you can check out what happened at the Goondocks here! Of course I'm going to talk about Back to the Future. This 30th Anniversary post wouldn't be complete without it. The buildup to today has been enormous. And today is October 21, 2015, the day that Marty McFly and Doc Brown travel to in Back to the Future Part II, which is also incidentally celebrating its 26th anniversary. There have been numerous TV spots, a new visual history book, a new 30th Anniversary Blu-Ray, numerous YouTube videos about what the film got right and wrong about the future, a new documentary called Back in Time, and huge displays at events across the country including most recently at New York Comic Con where I cosplayed as Marty McFly. It's your kids Marty, something's gotta be done about your kids! To me, the film is just a joy to watch. It's probably one of the most beloved films of all time right up there with Ghostbusters. The premise is so simple too. Accidentally go back in time. Accidentally interfere with your parents hooking up. Spend the rest of the movie trying to fix it and get back home. Back to the Future has invaded pretty much everything right now. It's in LEGO, in video games, and if you don't already have the DVD's, the trilogy is available for streaming on Amazon Prime. So make some time to watch it! And now a special message from Doc Brown. Michael J. Fox and Christopher Lloyd reunite to discuss what the film got right about the future. I honestly think Back to the Future has one of the best film scores that's not done by John Williams. And in case you're not tired of it yet, here's the original trailer! Remember, your future is whatever you make it, so make it a good one! Transformers: Devastation Rolls Out Today! Ip Man vs Mike Tyson?! ?